Earlier this year, we took a look at two new iterations of the Off-White x Nike Air Force 1 Low dropping this year. The Volt & Black colorways look great, and will available for everyone when they release in kid’s sizes this November. Off-White designer Virgil Abloh is going crazy with his Nike collaboration. The original release of “The Ten” stuck to a plain all-white colorway, with a splash of color for the Jordan 1. Now, the rest of the coveted pack will be dropping in new colors throughout the year. 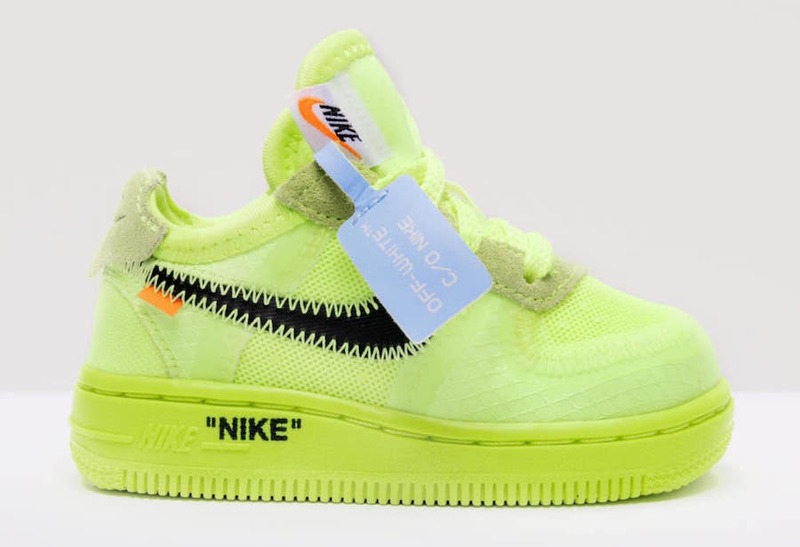 Much earlier this year, our friends Py_Rates took to Twitter to share launch information for two Off-White x Nike Air Force 1 Lows in Volt and Black. Now, they’re back with another exciting Off-White leak. We now know that both the new Air Force 1 colorways for this Fall will be accompanied by a release in kid’s sizes. 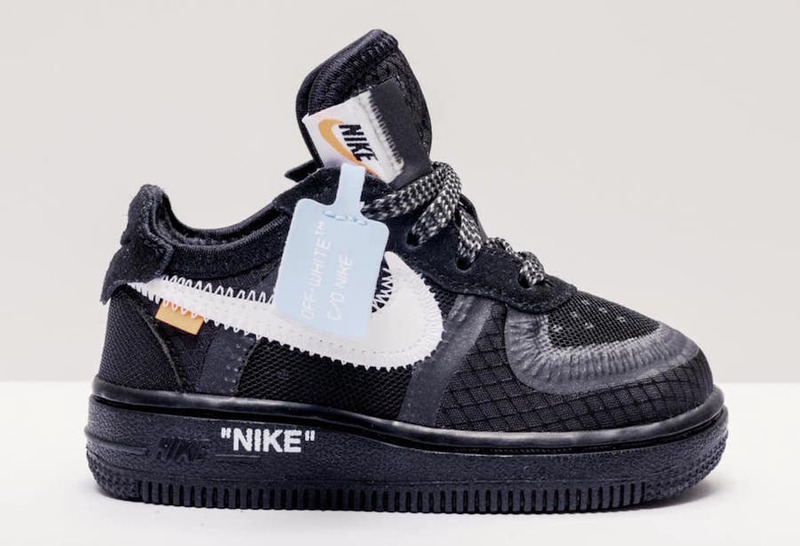 This is an exciting twist for the Off-White x Nike collaboration as so far the shoes have released in extremely limited numbers, strictly in men’s size ranges. 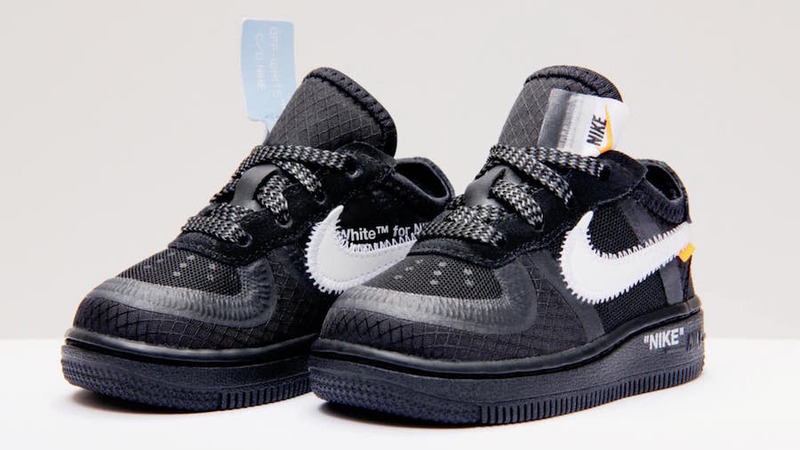 Due to the unusually hyped nature of the Off-White collection, pairs are likely to limited in the 2C-10C range, so securing some for your little ones is still going to be tough. The new children’s sized Off-White x Nike Air Force 1 colorways are scheduled to debut on December 19th, 2018. However, we now know that the CB sizes will retail for just $50, while the TD sizes will be a step up $60. This drop is expected to be extremely limited, so don’t sleep on your little ones. 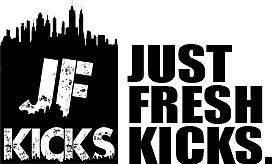 Check out the mock-ups below for a better look at how each color will look, and stay tuned to JustFreshKicks for more Off-White x Nike news.